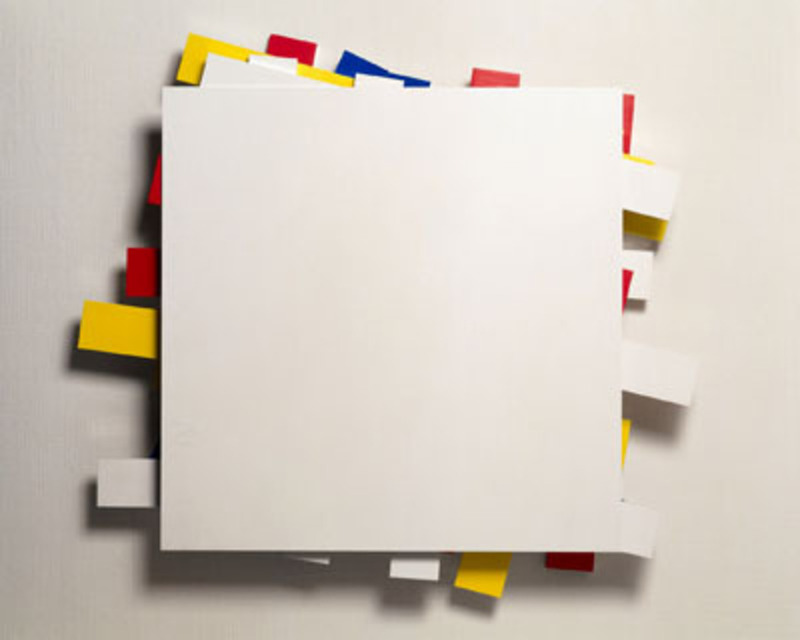 Imi Knoebel, Odyshape C 7, 1995, acrylic on aluminum, 11 1/8 x 46 1/8 x 5 3/8". In 1915 Kazimir Malevich painted a black square on a white ground in an effort to relieve the medium of its traditional task of depicting objects. This radical gesture proved remarkably complicated, and the art of the century since has shown that abstraction came with some baggage of its own. Pairing canvases by Malevich and his fellow Suprematists with those of later artists inspired by his Black Square and its aesthetic implications, this exhibition of approximately 120 works—curated by Hubertus Gaßner—will trace the multifarious, often contradictory, ways in which that seminal work has been understood: as an iconic portal to a spiritual dimension, a materialist assertion of the here and now, or a placeholder for our desires about what art should be.